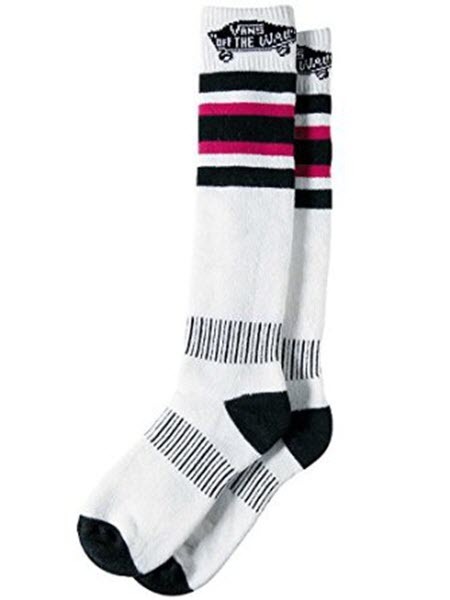 Stance Kora La Snow Socks Coral, , For all the ladies out there who believe style and progression are two sides of the same coin, we built Stances Kora La for you. Harnessing our unapologetic commitment to fun on the mountain, these premium snowboarding socks are crafted with bold colours and the most advanced textile technologies for a plush ride that lasts from the first lift to the last drop. We started from the bottom with specially placed bands of ankle and arch support and Y-Gore seams that offer a snug hold for heels, preventing lift when youre strapped into your board. Next, we recruited Acrylic fibres for their warm, sweat-wicking, hypoallergenic properties and their ability to be woven with complex prints and patterns. We know you could chase pow for hours, so we help your feet keep up with special compression technology that improves muscle performance and helps keep circulation going inside your boots. Smooth, flat, seamless toe closures and self-adjusting welt cuffs ensure youll spend your time studying the trail maps instead of un-scrunching your socks. Stances Kora La may look pretty, but under the surface its all about power.